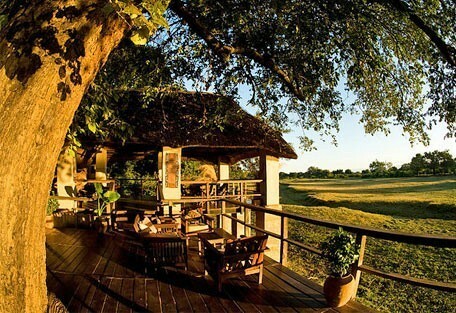 Kapani Lodge is a beautiful, permanent lodge, situated on one of the many ox-bow lagoons in the South Luangwa. Accommodation at the Lodge consists of eight standard suites and two new Lagoon Houses, 20 beds all in all. The brick chalets have thatched roofs, spacious living areas, luxurious interiors and walk-in mosquito nets. The Lagoon Houses offer more spacious rooms, private views and elegant furniture. 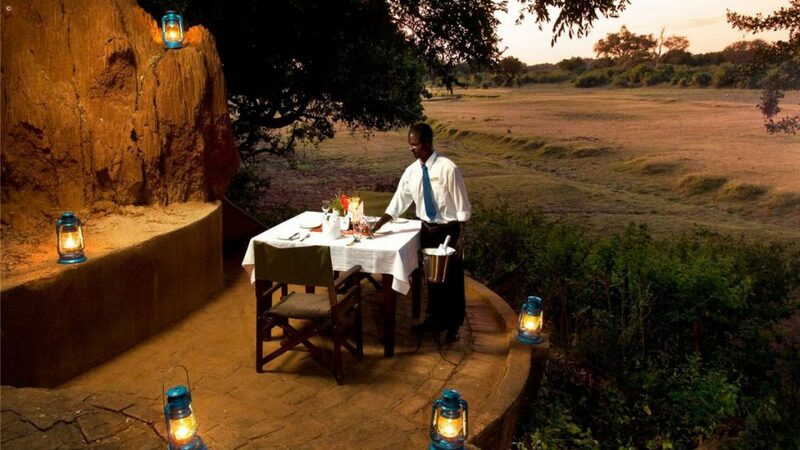 It is the ideal place for people to spend their first night in Africa, before moving on to the more rustic bush camps. There is a main chitenge with a bar and lounge area. Kapani, which means ‘the place of the Mopane trees’, is situated on the banks of a permenant oxbow lake, just outside South Luangwa National Park. After serving as a gateway for visitors to the South Luangwa for a number of decades, Kapani closed to the public at the end of 2015.The camp now acts as the operational headquarters for Norman Carr Safaris, who own a number of bushcamps in the park, as well as the luxurious Chinzombo. Kapani is laid out over open lawns, overlooking the lagoon, and its rooms are arranged either side of the camp’s main lounge area– from where steps lead down to the main deck. This lower deck houses the bar, a comfortable seating area and the main dining area. The bar is a popular meeting place for pre-dinner drinks, and the deck is huge, with uninterrupted views of the ox-bow lagoon and the floodplain beyond. - The Luangwa Valley is regarded as the home of the walking safaris.